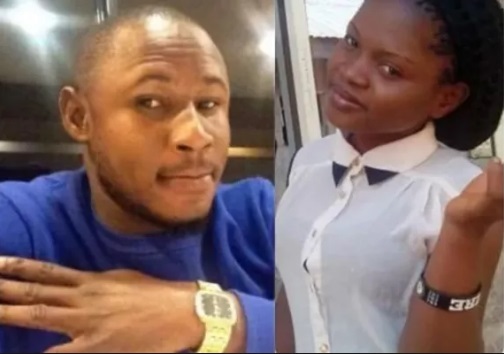 Chukwudi Onweniwe, the man who killed his girlfriend, an HND student of Rufus Giwa Polytechnic Owo, Nifemi Adeyeoye has been sentenced to death by hanging. The sentencing was given by a High Court sitting in Akure, Ondo state.. According to her ”l did not see my daughter again after she got missing until police men invited me to come to the mortuary to identify a corpse whether it was that of my daughter or not. Also giving evidences the two motorcyclists who saw the lover birds together on the ill fated day told the court that they conveyed them to a spot in town.